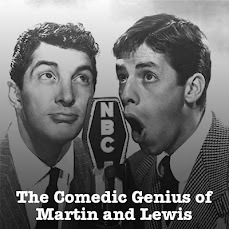 We're getting into the Holiday Spirit this time around on our Martin and Lewis Old Time Radio Podcast, with a December 12th, 1949 NBC Radio Network broadcast of The Martin and Lewis Show. Dean and Jerry are in Chicago for appearances at the Chez Paris. Dino sings Jingle Bells and Don't Cry Joe, and we get to enjoy the comedy of Flo McMichaels and Sheldon Leonard as well.